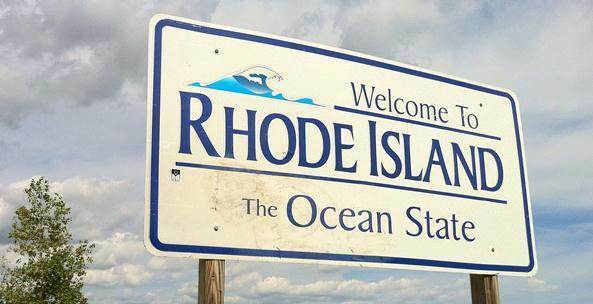 Citing the unique discrimination faced by transgender and gender non-conforming students and the failure of many Rhode Island (RI) school districts to have policies in place tackling the issue, ten organizations – including the ACLU of Rhode Island, the RI State Council of Churches, and the RI Commission for Human Rights – have formally petitioned the state Council of Elementary and Secondary Education to adopt statewide regulations that address the specific needs of this vulnerable group. In 2016, partly in response to federal guidance on the issue that has since been repealed by President Trump, the state Department of Education (RIDE) released a detailed model policy that aimed to address the specific needs of trans students and ensure schools’ compliance with civil rights laws. The model policy highlighted many issues facing these students, including confidentiality, access to facilities, participation in school programs, and dress codes. However, the RIDE policy remains just a model, and as such, schools are not mandated to adopt it. In fact, a recent report from the ACLU of RI found that more than 25% of RI public schools have no comprehensive policy in place to protect transgender and gender non-conforming students. Some districts, facing community pressure, may not be in a position to adopt the protections required to safeguard the rights of transgender students. Other districts believe that general bans on discrimination are sufficient to address the issue. And others seem to feel it is appropriate to wait until the issue comes to a head to address this topic, a position that puts enormous pressure on the first students who seek protection from discrimination in those districts. Local control of schools is appropriate for many issues, but this issue calls for state regulation and oversight in order to ensure the educational environment is free from discrimination for all students. Further, we strongly believe a policy addressing this important subject should be generally consistent from district to district to address issues raised by students moving from one municipality to another. The petition concludes: “Today, as the federal government seeks to dismantle the protections afforded to transgender and gender nonconforming students, the Council must show leadership by filling the void and taking action – action that requires school districts to provide clear on-the-ground support that mere statewide model guidance cannot do.” The petition proposes that the Council mandate that every school district adopt a comprehensive policy, based on RIDE’s model guidance, to protect transgender and gender non-conforming students. The other signatories to the petition are AIDS Project Rhode Island, Planned Parenthood of Southern New England, Rhode Island Commission on Prejudice and Bias, Rhode Island Working Families, Providence Youth Student Movement (PrYSM), and The Center for Sexual Pleasure and Health.